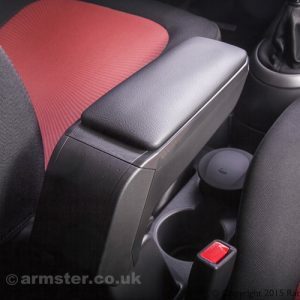 Armster 2 is the latest generation of superior quality armrest for the Ford Fiesta MK8 (European MK7), including but not limited to the ‘ST-Line‘, ‘Zetec‘ and ‘Style‘ versions of the vehicle that have not had a factory armrest fitted previously. 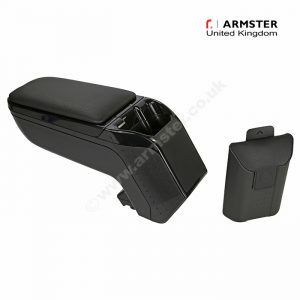 Built to a very high standard, with a metal inner mechanism for improved strength and robustness. 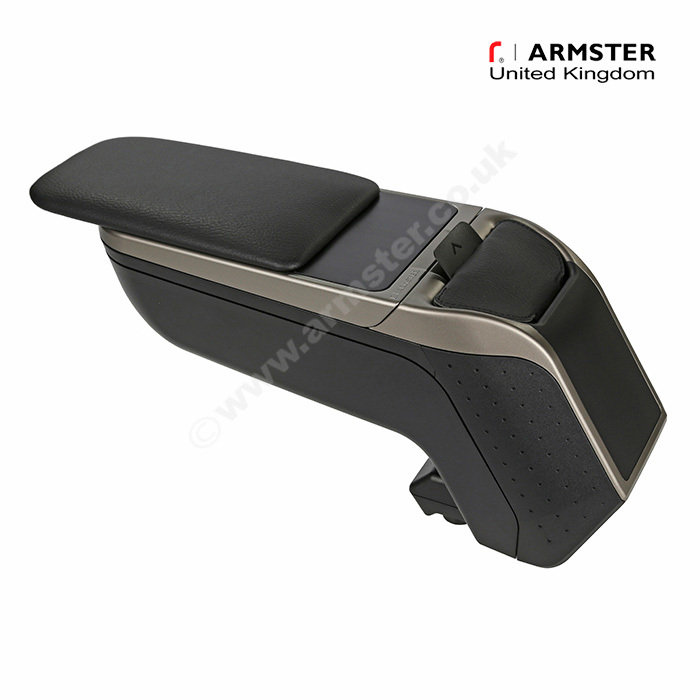 Fully adjustable to 3 height positions and extendable padded leatherette sliding top for addition comfort. 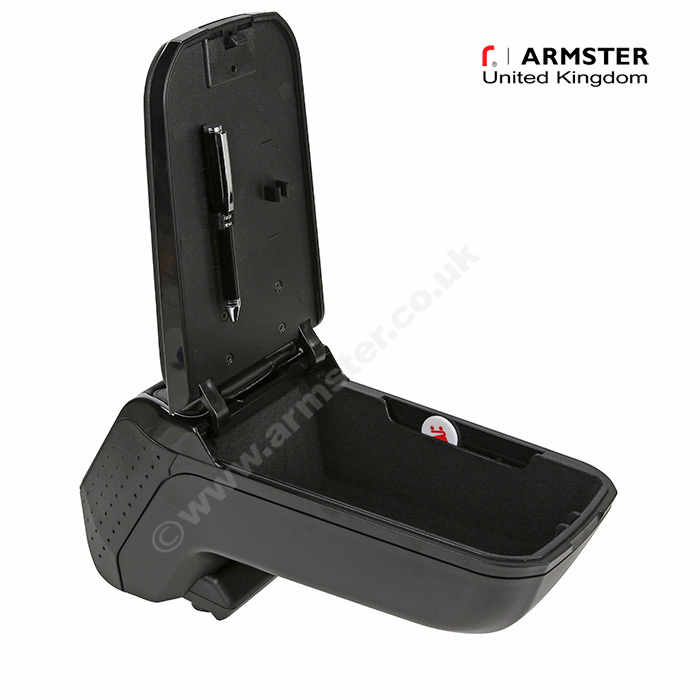 Inside is a quality felt lined storage area with pen and coin holder facility, ideal to keep your cabin space clutter free. 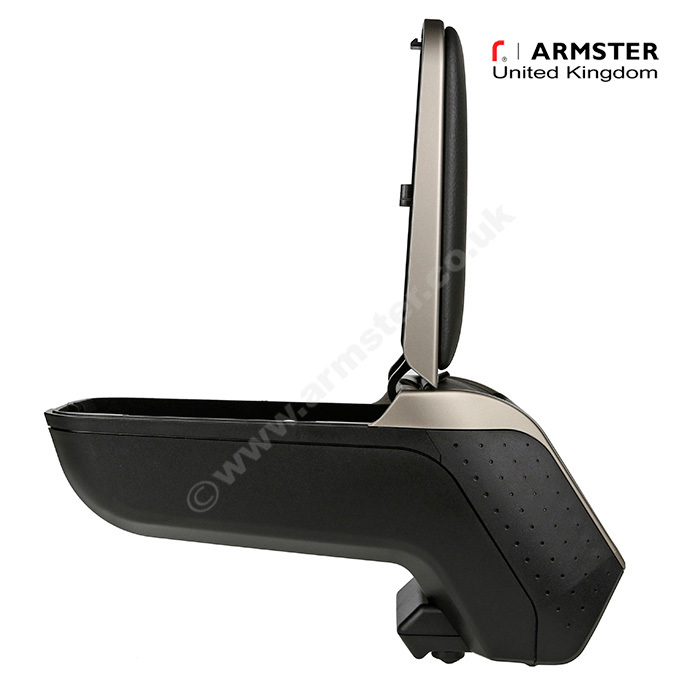 As an additional bonus, the Armster 2 also includes the innovative ‘Portable Pocket’ feature that can be removed from the armrest and carried with you. 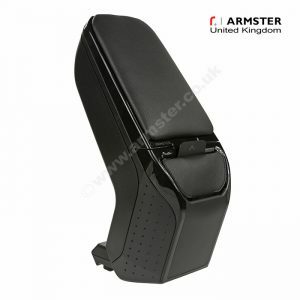 When not in use, the Ford Fiesta armrest and can be tilted back between the front seats. 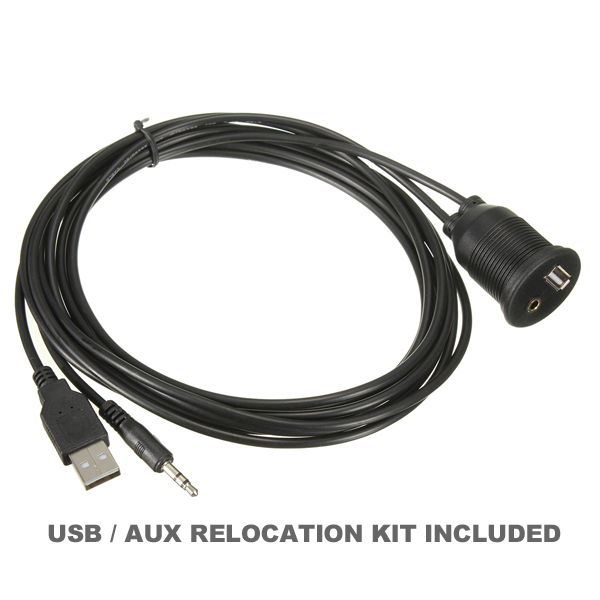 This particular kit includes a USB/AUX relocation cable which ensures this crucial socket can still be accessed once the armrest is installed. 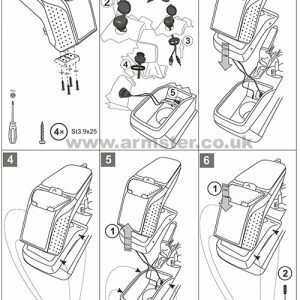 The USB/AUX socket will be integrated into the armrest structure during the easy installation (see diagram in gallery above). 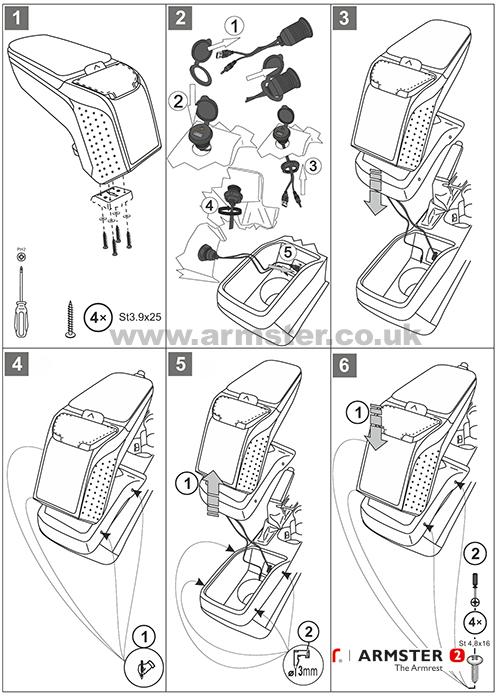 Each Armster is vehicle specific and supplied with its own mounting adapter, screws, and full fitting instructions, ensuring it will fit perfectly and securely to the Ford Fiesta centre console unlike the cheaper aftermarket universal armrests. 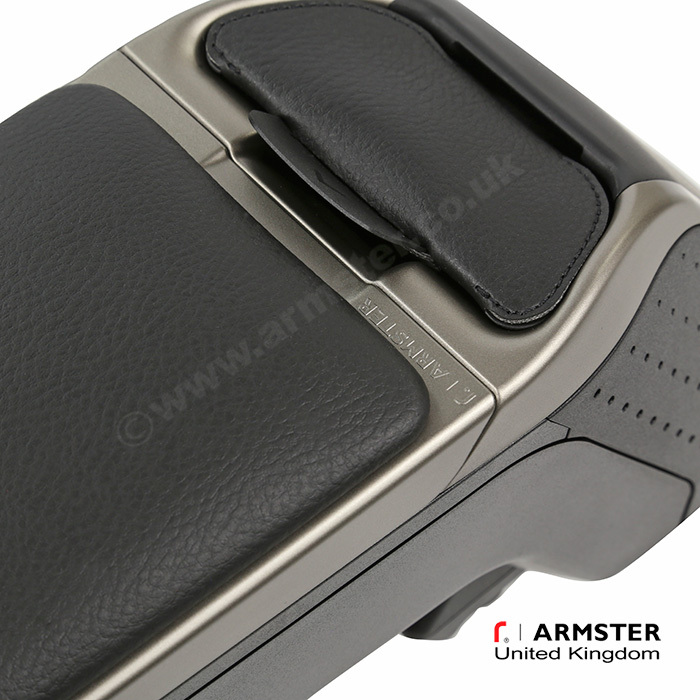 All Armster models have a long 3 year warranty, manufactured to OEM standards and made in the EU, making it the most successful aftermarket armrest system in Europe.